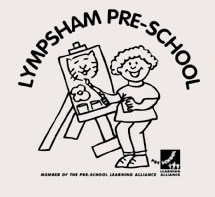 Lympsham Pre-School has recently become part of the Wessex Learning Trust and we are now a feeder school for Lympsham C of E Academy, which in turn feeds to Hugh Sexey Middle school and Kings of Wessex. So once a child has a place at Lympsham Pre-School they will automatically be offered a place at the next school in the Wessex Learning Trust system. We feel this is a great benefit to families in the Bleadon area who have until now not had the security of a guaranteed place in the Cheddar Valley catchment.